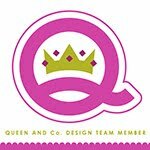 Queen and Co. washi tape is the best quality washi tape I've ever used. The colors are rich and the tape is thich, but still tears like traditional washi. 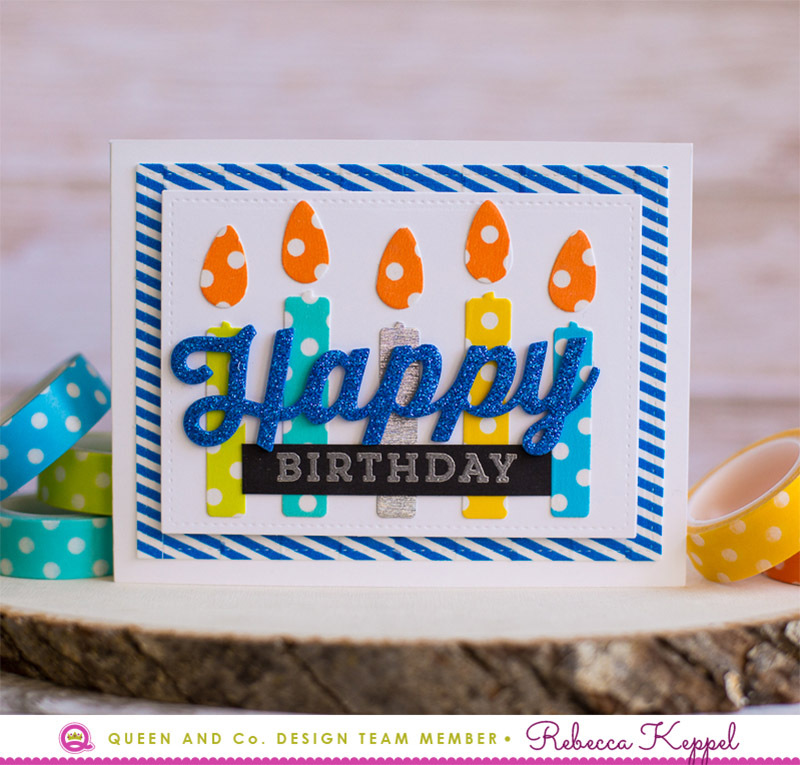 I used the Candle Shaker die to cut out strips of washi into candle and flame shapes. 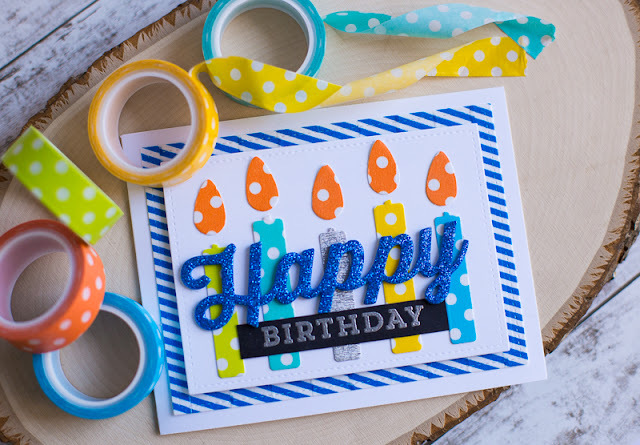 I also ran striped washi next to each other to cover a piece of cardstock to use as my matte. 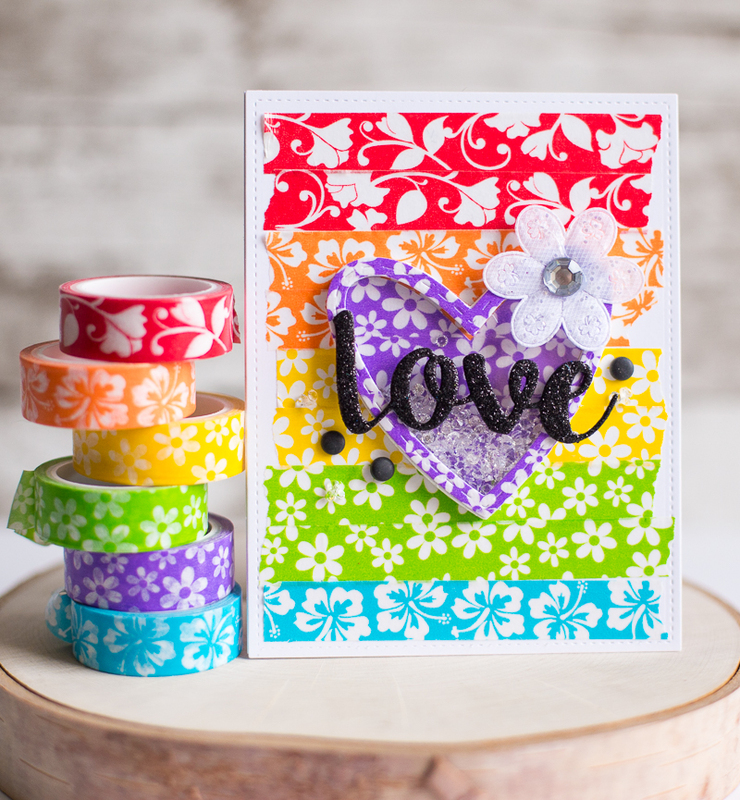 I especially love how Queen and Co washi tape comes in a rainbow of colors. I created the background with ROYGBV colors, cut purple washi covered cardstock for the Foam Shaped Shaker and the heart background. 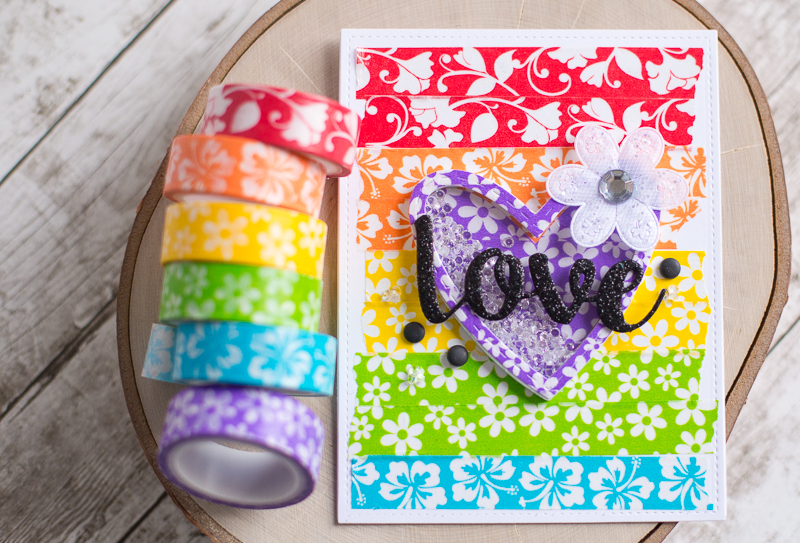 Washi is affordable enough that you can grab all your favorite colors!